The first time Northern Kentucky University senior A.J. Hastings tried smoking hookah, he had just turned 18. He had gone with his friends to a hookah bar, which is a lounge-like setting where people can pay to smoke from a hookah pipe that is provided to them by the establishment. The experience made him feel “cool” and “grown up.” Most of the people around them, he said, looked as though they were college aged. A hookah is an instrument used for smoking a special type of flavored tobacco, often called hookah tobacco, and it is comprised of a large glass basin filled with water, a compartment on top where the tobacco is placed and at least one rubber hose stems from the pipe. The tobacco is burned with coal, and the smoke is filtered through the water in the basin before being inhaled through the hose. Many times, people will go to designated hookah bars to smoke from these pipes, where they often go in groups as a social outing. However, people can also go to certain smoke shops and purchase their own individual hookah, as well as the flavored tobacco that goes with it. Hookah smoking originated in India and has been around for approximately 400 years, but it has recently become a growing trend among young Americans. According to a 2012 study published by the Department of Health and Sport Sciences at Otterbein University, nearly a quarter of college students have smoked hookah at least once in their lifetime. Some of the college students who participate in hookah smoking, though, might not be fully aware of the health risks that surround the activity. 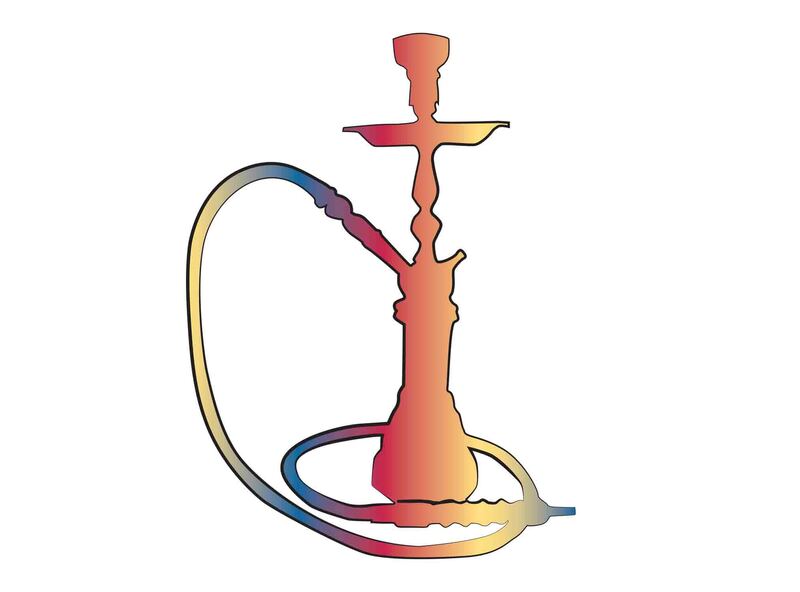 Robert Langenderfer, director of the respiratory care program at NKU, said that inhaling the smoke from hookah tobacco poses very similar dangers to what inhaling cigarette smoke does. There are various misconceptions that lead people to believe that smoking hookah is safer than smoking cigarettes or other tobacco. Some believe that hookah tobacco does not contain any dangerous chemicals to begin with, or that all the toxins are eliminated when the smoke filters through the water in the basin of the pipe. Many people also believe that hookah tobacco has no addictive qualities. Langenderfer said that hookah is physically addicting because of the high concentration of nicotine it contains, and that just because the hookah is filtered through water, that does not mean that its chemical properties are changed. Eric Simpson, an NKU senior, said he likes to smoke hookah occasionally, and that he has never been aware of any of the risks that accompany it. For some students, knowing about the health risks of hookah is not quite enough to stop them from smoking it altogether. Hastings said that he doesn’t see too much of a problem with indulging in hookah, since he only does it on occasion. For others, however, the adverse physical effects that hookah usage can have on a person’s body is a compelling reason to not do it at all.